A free and easy source for information. Podcasts are easy to find, you can sometimes listen to them online or you simply download them and listen later. Put them on your “walkman” when you go out for a walk or when you take the public transports, at work when you are in an environment with multiple noise sources (it reduce them to a single source), when you are in a meeting for which you have no interest , or even in a family meal while your stepmother is talking about her last haircut. You can also take it in your car when driving work or to home. It’s the option I take because I spend 4 hours a day in the car. I simply copy them on an usb stick and plug it to the radio. (you can also burn it on a cd, depends of your car radio system). Podcasts are a great idea, they allow you to listen to a show you missed, to be informed of the latest buzz and so on. Listening to posdcasts is a good thing because even if you aren’t really attentive to what is said, your subconscient is smart enough to make you listen at important parts, so you if you heard of a subject after listening to a relative podcast, you know a little of the subject and you seem less dumb that you are. Plus, il like me you listen to podcasts in a foreign language, you can significantly improve your knowlege by simply semi-listening to conversations in that language. Like I early said : Podcasts are cool, so listen to them ! Here is my list of podcasts’s sources for developers : share it and enjoy it ! 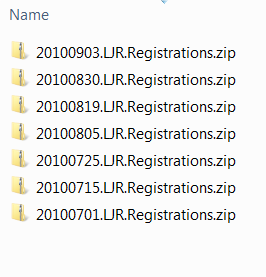 If you are a single person working on a personal project, you maybe have encountered some backup and versioning issues. So you can do manual backups, naming them by date or by functionality and saving them on different supports but this can quickly become a real hell to maintain. 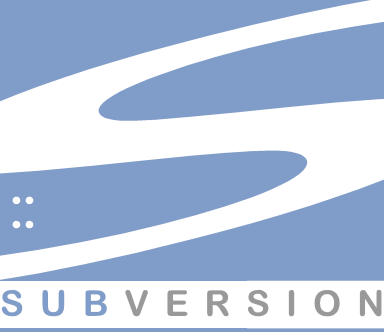 You can also us a svn tool, which is really nice : backups are usually on a remote server but you have to remind to do a “sumbit” when you want your sources to be saved. There are plenty other solutions like git, cvs, or Microsoft team server but once again it’s maybe unneccesary for a single person project. 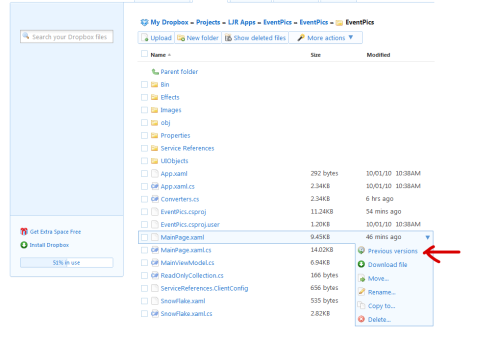 The solution I use for my personal projects is “DropBox”. 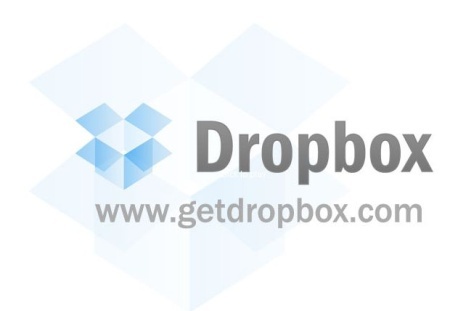 Dropbox is software that syncs your files online and across your computers. Put your files into your Dropbox on one computer, and they’ll be instantly available on any of your other computers that also have Dropbox installed (Windows, Mac, and Linux too!). Because copies of your files are stored on Dropbox’s secure servers, you can also access them from any computer or mobile device using the Dropbox website. How to use it like I do ? First register at DropBox then install it. Put your project files there. Now you have an automatic backup and versioning system for your files. Look at the versioning system : it’s great ! 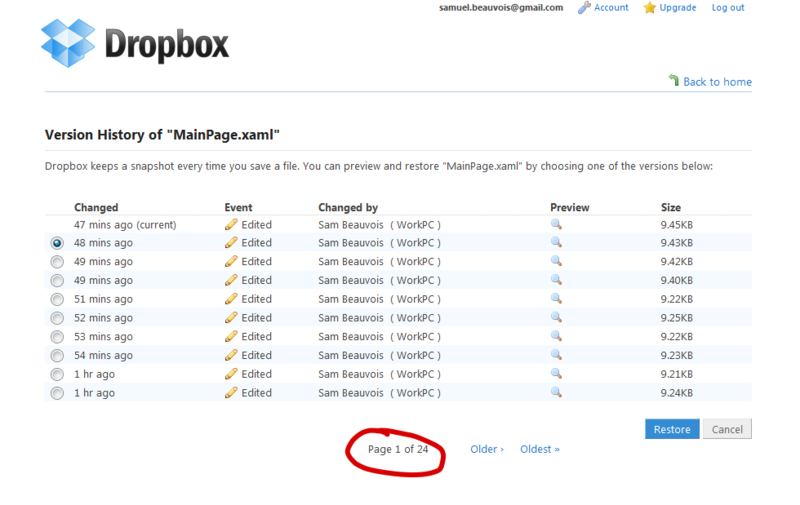 Now if you want to develop with other persons, DropBox is certainly not the solution. You can use it but you will have to be sure that the different persons aren’t working on the same files ! There is no merge system ! If your are about to create a new account, please use this link : I will earn extra storage space.